I have to admit, when I thought about making soap I pictured lab coats, gloves, and heavy duty goggles. That forced an image of fear into my mind. Thankfully, I was delightfully proven wrong with this simple recipe. Making soap, especially with an simple base solution, is extremely easy. The additive possibilities are virtually endless. I was inspired to use grapefruit zest by this soap recipe and decided to use pink Himalayan salt as a mild exfoliant. 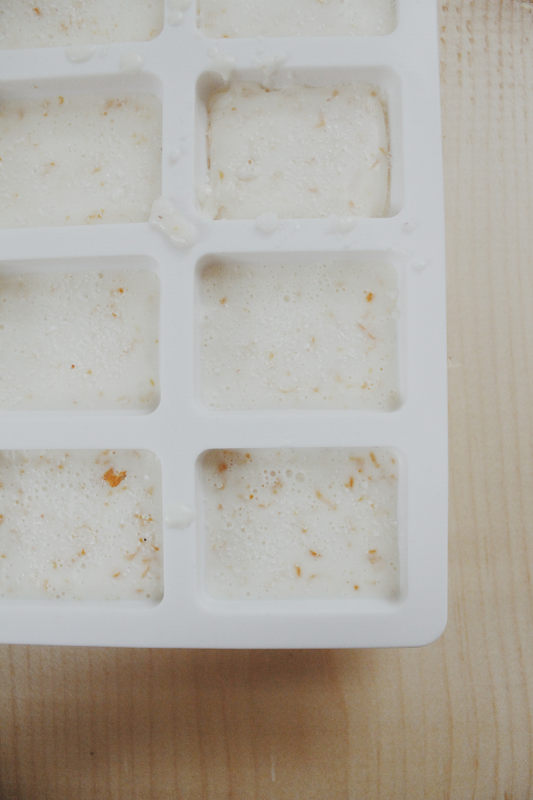 For the miniature soap shape, I used Oh Joy’s ice cube tray as the mold. Melt 8 ounces of the soap base in the microwave or a double boiler. Make sure to stir the mixture frequently so that it does not burn. As soon as it is completely melted, mix in the Himalayan salt. It may clump, so keep stirring until it is incorporated. Remove from the heat (if using a double broiler) and stir in the grapefruit zest. At this point you can add any essential oils, but I found the zest of the grapefruit produced a perfect scent on its own. Pour into a mold and let sit until completely firm. 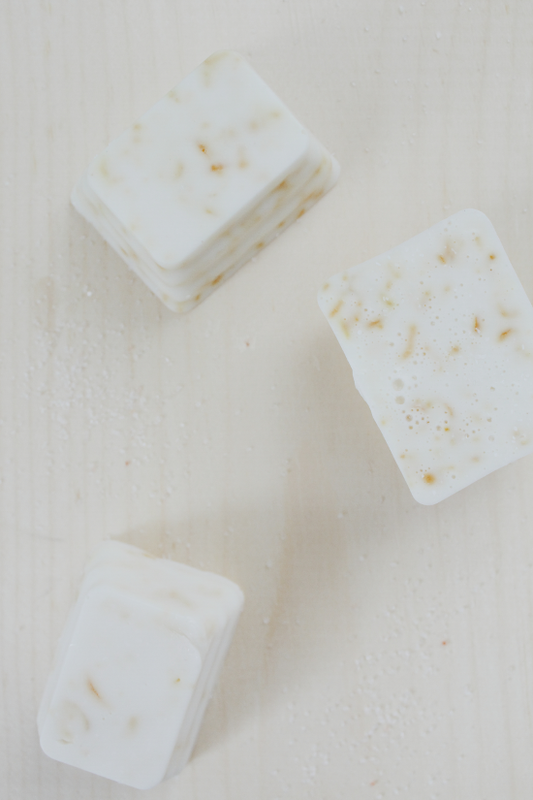 These little soaps take less than an hour to make and would make great last minute gifts for Mother’s Day, don’t you think? 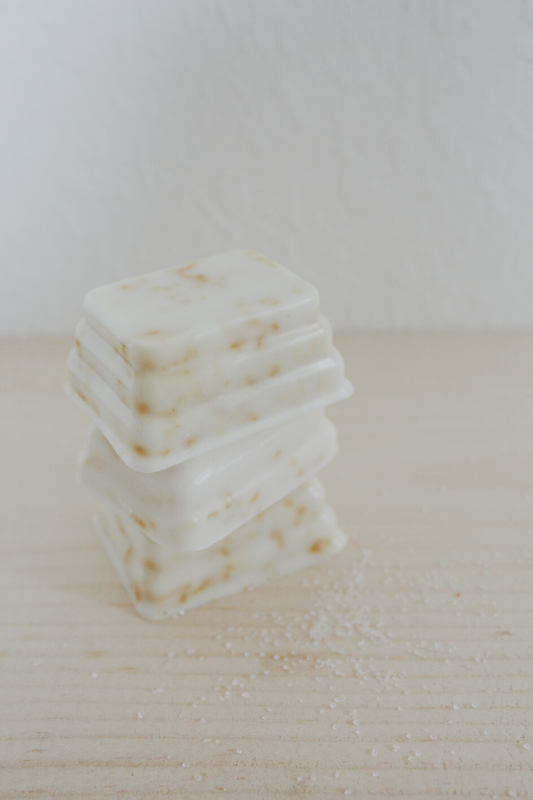 Have you ever crafted homemade soap before? How did it come out for you?